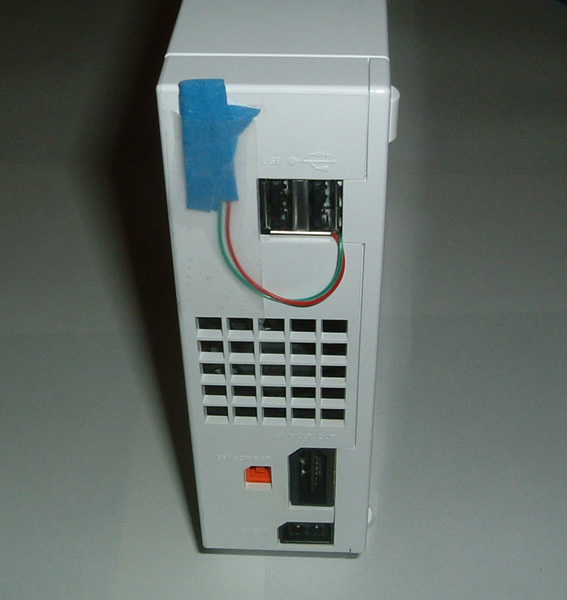 CycloWiz is the second Nintendo Wii modchip to hit the market. It is produced by the Cyclops Team who also released the CycloDS range for the Nintendo DS. Their outing on the DS was not a good one and they became a failure to many critics due to the complete rip off that the CycloDS range was when compared to the Supercard range. The same cannot be said this time around as the CycloWiz is comparatively different to the only other modchip which came before it (The WiiNJA). 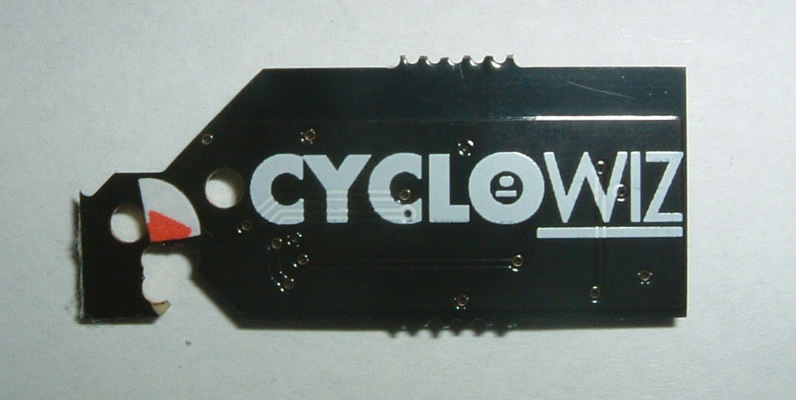 The CycloWiz features a quicksolder board and the ability to switch the chip off. Also, it was not known at the time of release but the CycloWiz is fully upgradable via DVD! Techwizad.com were kind enough to provide us with a sample of the CycloWiz to review. So without further ado let's get on with things. That all sounds pretty amazing so far. The only thing we seem to be missing out on is region-free gaming but an update is due soon so anything can happen. The actual chip is very well made. 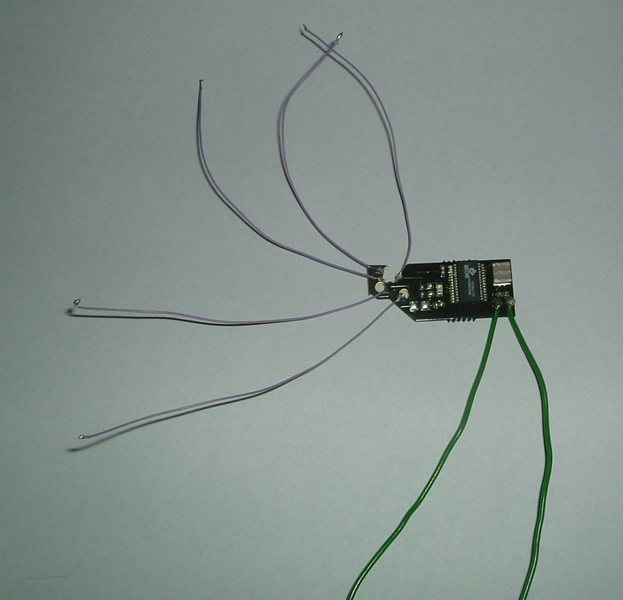 The PCB is of a high quality and all of the components seem to be of an equal standard. The quick solder pads are there to make things easier for you whilst also allowing you to install the chip without them if you want, the choice is yours. There has been a bad batch of CycloWiz chips with the quick solder pads actually joined together but the the CyclopsTeam offer a guide on how to fix this and even if you attempt the fix and fail, they will still replace your chip for you. You do not have to even attempt the fix to be eligible for a replacement should you recieve one fo these faulty chips though. This is a good sign of Customer support. 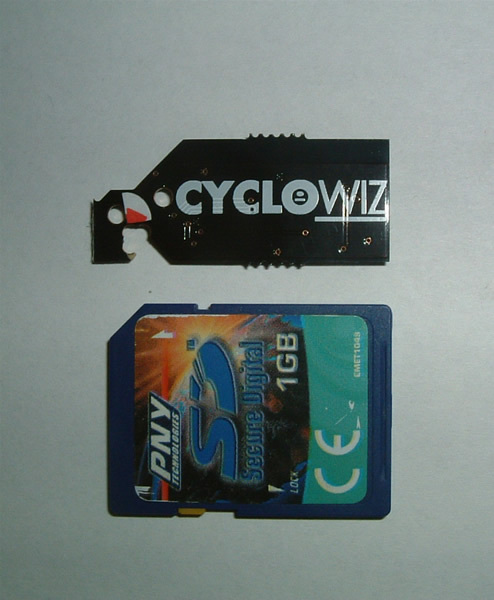 Not many people realise quite how small the CycloWiz actually is so I took a comparison shot of the chip next to a standard SD card. As you can see the chip is really quite small! I decided that I will install my chip without the quick solder method and instead use a wired installation allowing me to easily upgrade to a newer chip in the future if needed. 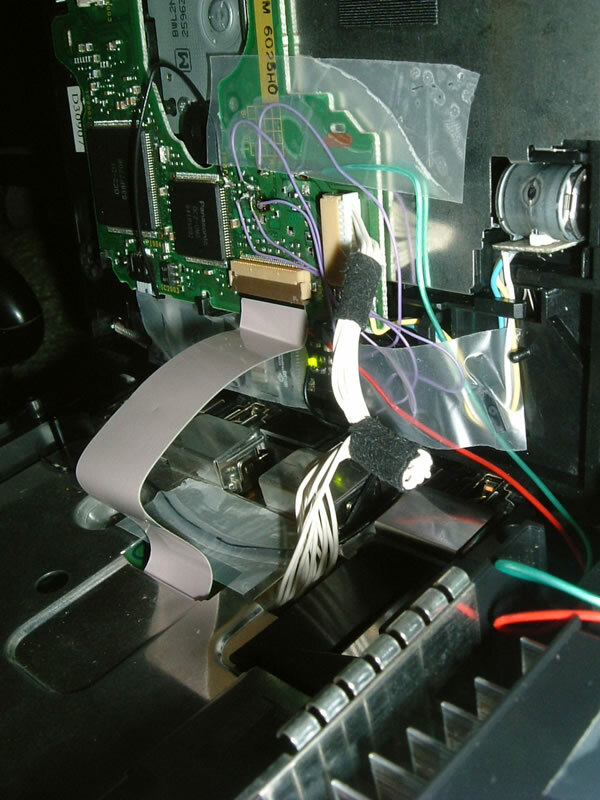 I won't go into great detail about the installation of the CycloWiz as this is a review but I will describe briefly the steps involved with installing your chip into your Ninteno Wii. 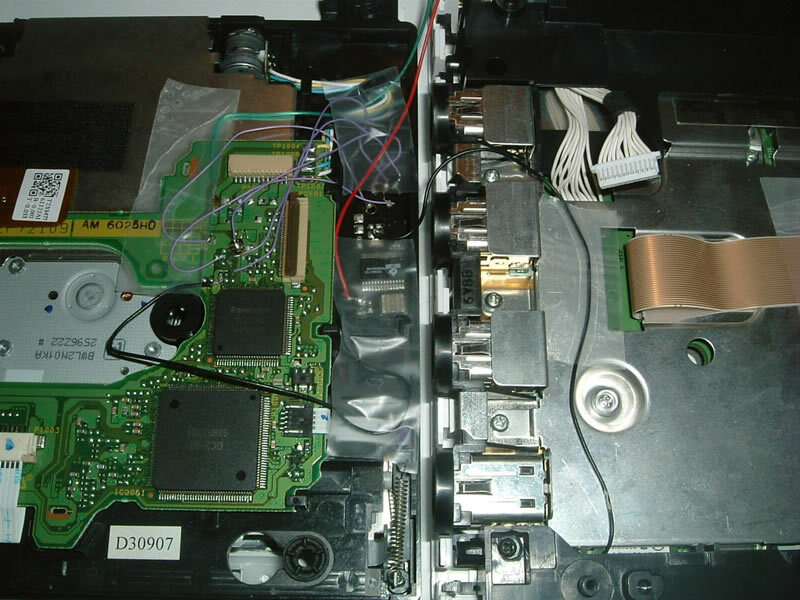 Before you start the installation, you may want to check out my guide on disassembling your Nintendo Wii which can be found here. I found a nice place to house the chip down the side of the main board. Some of the solder points on the board are quite small for a beginner so I would advise you to get someone else to install the chip for you if you are worried at all about your skills as a solderer. I actually applied a little too much solder to one of the pads on installation but I'm too lazy to clean it up right now. After I had attatched all the wires, I taped them into position with some 3M tape. I chose the clear 3M tape as the chip has an LED on it which I did not want to distract with inslutation tape. We also installed one with the quick solder method which you can see in the picture on the right. Well finally the chips installed and my console is back together again. These cables I have poking out the back are for the upgrade feature. This is hardly pretty so you can install a switch if you want but I chose to leave the cables incase I wanted to remove the chip at a later date. When an upgrade comes out, I just need to join the cables (they are currently taped apart) and run the update. So we've got the chip installed, so let's see what it can really do! The tests on the PAL console went really well with only a few problems. Rayman didn't like loading at all and a few problems were found with import games aswell. Elebits experienced some strange movie stuttering which occurred on the starting movie and as the camera zoomed out the movie began to lag and stutter. As it faded into a new movie clip, the stuttering would clear up instantly which only leads me to believe one of two things. Either the chip was making the disc read too slow or the patching system was not working efficiently. Either way I can't really say this surprises me as it is not yet an official feature of the CycloWiz. 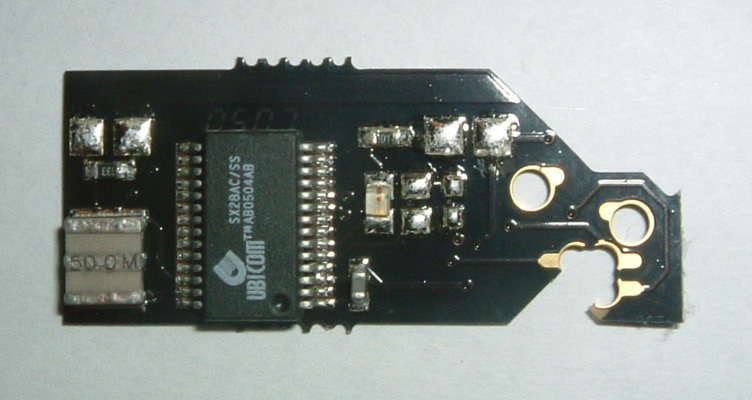 We also were sent a second chip from TeamCyclops which we installed into an NTSC-U console. Here are the tests from the compatibility there. This time there is no patcher available for playing imports so we just ran tests using USA region games. The USA compatibility test pretty much echoed that of the PAL tests percentage wise. With only one game failing to load which was pretty impressive. We tested a plethora of GameCube backups on both consoles and they both ran absolutely everything we threw at them! 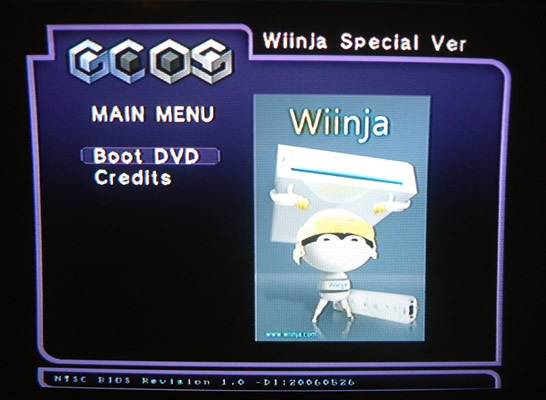 With the CycloWiz, you currently have to use GCOS for booting your GameCube import games. Here is a quick movie showing how simple the process really is. I would imagine we will see this kind of thing integrated into the CycloWiz soon though without the need of the swap. Overall the CycloWiz is pretty much everything you could ask for. The few problems that are there should be ironed out with future updates for the chip. 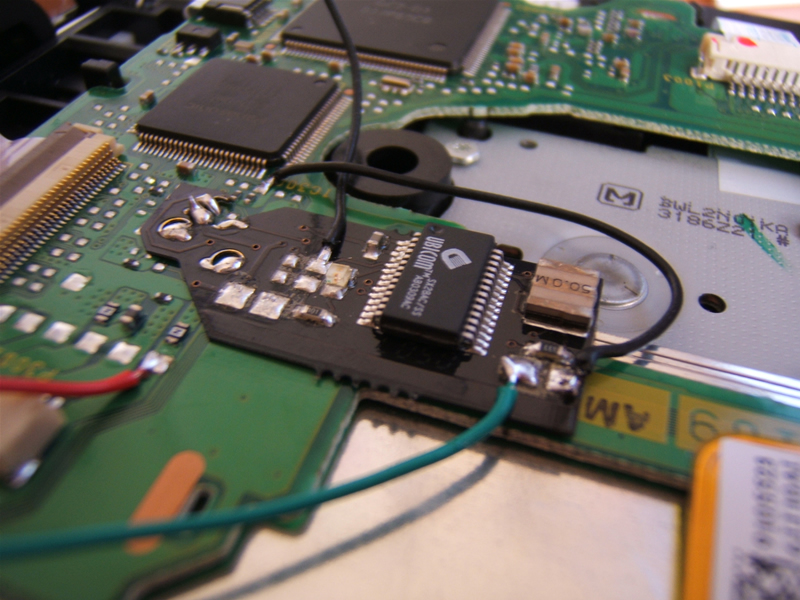 For the price of it I would recommend it to anyone wanting to jump onto the Wii modding band wagon but for those that want a chip to work 100% then you may want to wait a little longer to see if the updates for the CycloWiz really perform as expected. Other than that, for what's on offer right now you can't go far wrong with it. The CycloWiz can be bought from Techwizad for the extremely reasonable price of GBP£29.99 and of course they do ship worldwide. If you see any errors in this review or want any further test with homebrew then please let me know. - Have to use GCOS swap method for GameCube imports. - Few problems with backups. Wii.DS-Scene.net would like to thank Techwizad.com for supplying us with a sample of the CycloWiz for Review. We would also like to thank the Cyclops team for providing a sample which enabled us to test the chip in an NTSC console aswell. Excelent review from the both of you i wouldnt do it better myself ! It has full support for 4.7GB discs with GameCube homebrew yes. Didn´t try much homebrew but those that I tried worked, maybe I will test more and post my results soon. Great review, I´m almost tempted to pick on up. One question tho. The video skipping you experienced, is that isolated to copied games? You can´t play import Wii games unless they are backups....yet. the update is meant to work without patching so that should work with originals when it finally gets here. The video skipping was only on Elebits, everything else that I play tested ran flawlessly and I have tried quite a few FMV heavy games now like Sonic and Fire Emblem etc etc. lovely stuff, thats all i wanted to know. Methinks I´ll be getting one of these. This chip looks the best choice on the market at the moment. so I´m going to buy one of the cyclo wiz mod chips from techwizad, i´ll let you know how i get on, this will be only my second time at opening and modding a console. It´s not the hardest mod to do you shouold be fine. The WiiKey is another alternative to the CycloWiz but I respect your decision in choosing this, it´s a great chip imo. Performed 11 Queries in 0.00695 Seconds. The page rendered in 0.32824 Seconds.